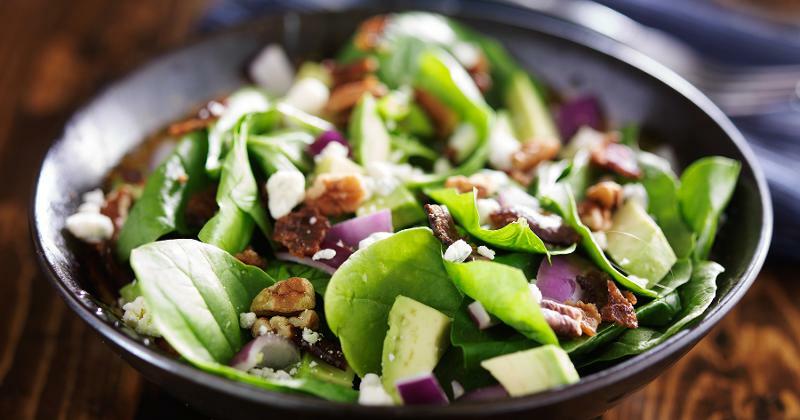 Show off spring’s crop of fruits and vegetables by tossing up a fresh batch of salads. These six recipes make the most of the seasonal produce on the market now. Watermelon may now be more widely available throughout the year, but its popularity soars as spring turns into summer. 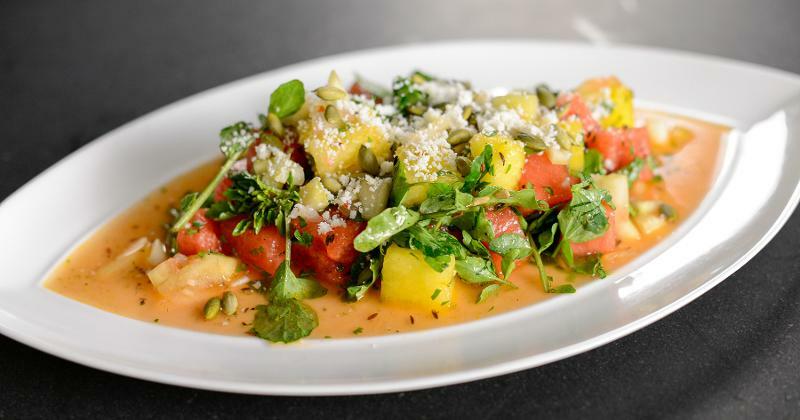 Chef Peizer cubes the watermelon’s bright red flesh and pickles the rind to create this no-waste salad recipe with Mexican flavors. 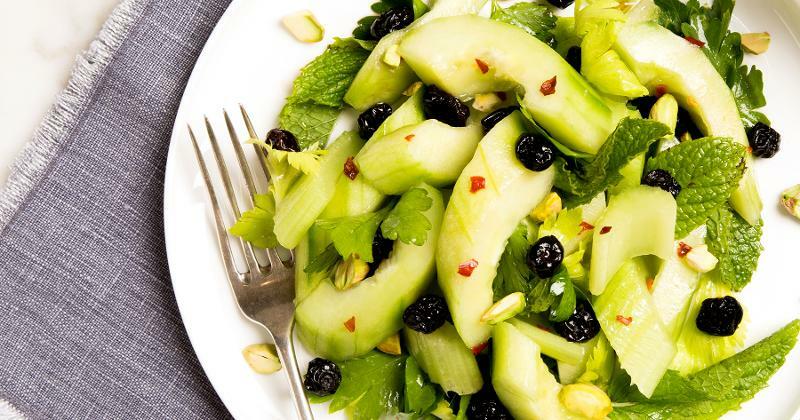 Chef McFadden showcases sweet, sour, salty and bitter flavors in this crunchy salad. He recommends packing it with fresh herbs—the more the better. The recipe calls for mint, parsley and basil, but chives, sorrel and sweet marjoram are also possibilities. The salad makes a good accompaniment to grilled lamb. 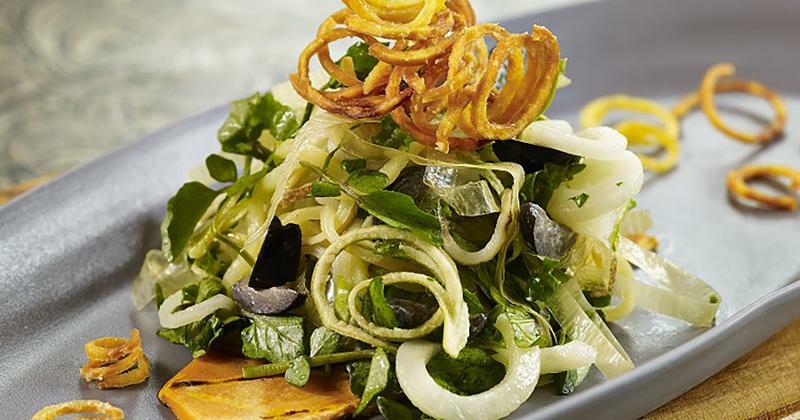 Many kitchens are now equipped with spiralizers to make quick work of creating vegetable ribbons or long strands of vegetable “noodles.” Chef Cohen, owner of plant-focused Dirt Candy restaurant, spiralizes Japanese yams and two types of potatoes as the base for this mounded salad. Ribbons of arugula, kale and dried apple add contrasting color and texture to the dish. 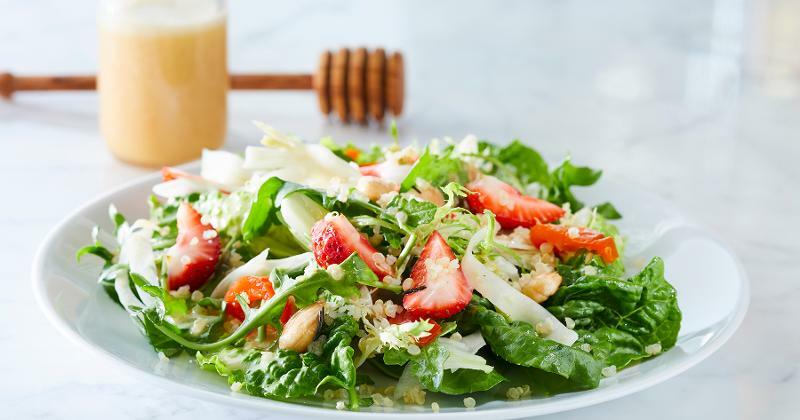 Switch up this salad as spring turns into summer and different berries come into season. Juicy peaches and figs can also be substituted, and local lettuces can rotate in for the salad greens. Add a shot of fresh, minced herbs and extra orange zest to ramp up the creamy, tangy dressing, suggests chef Casey. Roasted beet salads are a popular option at steakhouses. The one at Red the Steakhouse in Cleveland gets a different twist with the addition of fresh grapes to the mix. 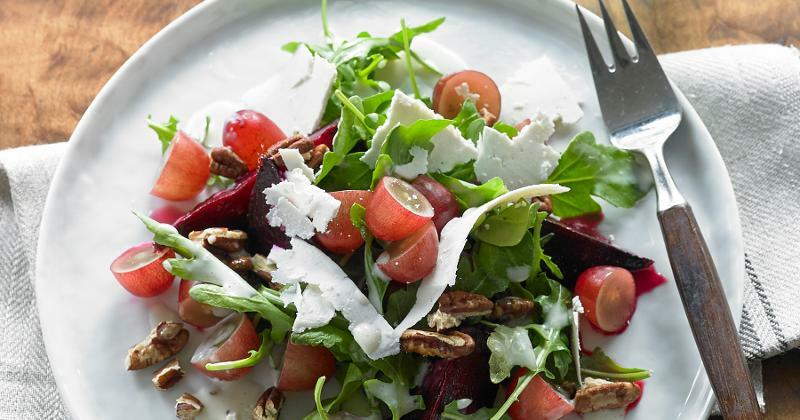 Shaved ricotta salata, arugula and roasted pecans balance the sweet flavor of the beets and grapes. 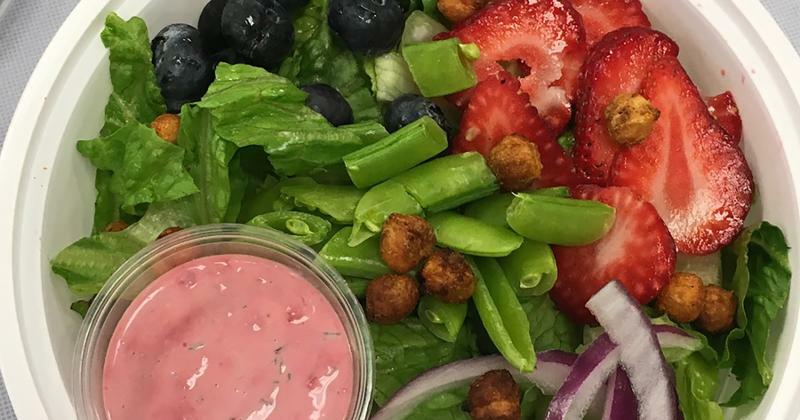 Ranch dressing, a school-lunch favorite, gets a sweet boost with the addition of crushed raspberries. The pink-tinted dressing can be tossed with any choice of greens, veggies and fruits for a kid-friendly salad.